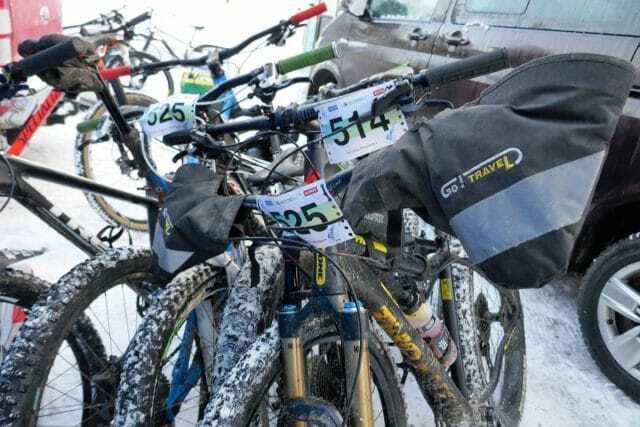 Even for veteran 24 hour racers Strathpuffer falls within its own very special category. 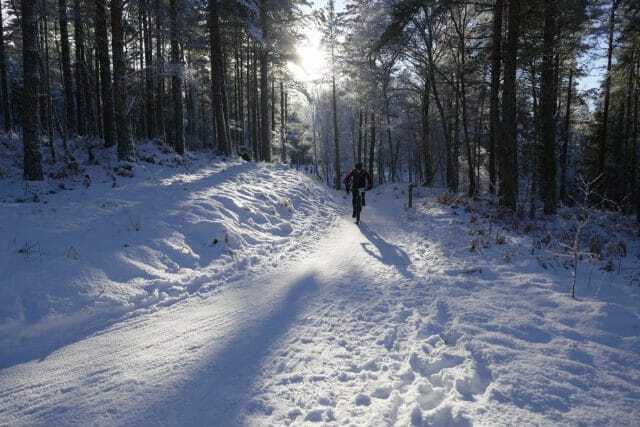 It’s one thing embarking on a full-day and night’s worth of riding during the balmy summer months but completely another to do it in the depths of a north Scottish winter. I mean, why would you? Isn’t riding and racing bikes supposed to be fun? 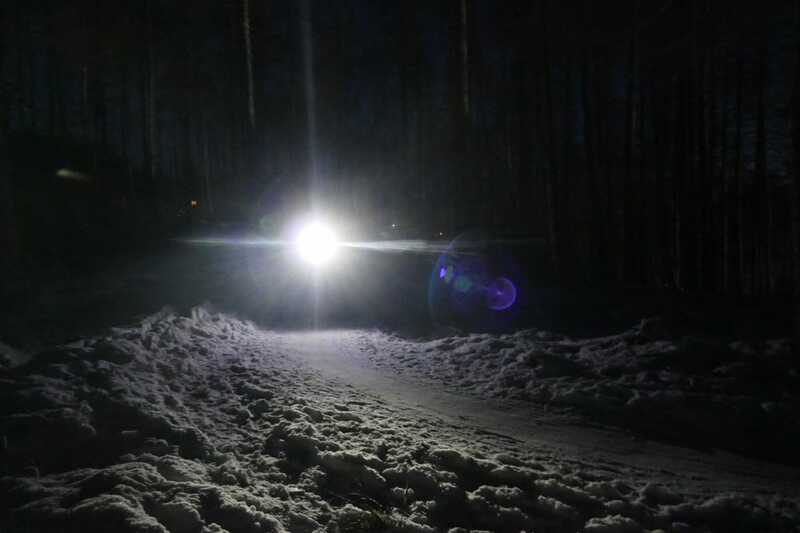 Surely it’s not meant to be a constant stress of wondering whether you’ll freeze or starve to death, whether your lights will hold out for the 17 hours of darkness and whether you’ll make it to the end of the course with your bike intact. Even as a 24 hour race regular I have drawn the line at this one. 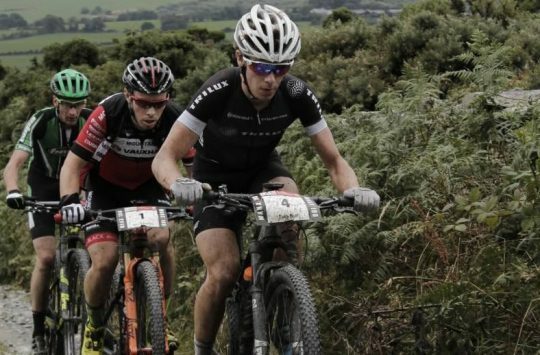 Getting your bike and body safely through any 24 hour race is a challenge full stop. Racing in the bitter cold and wet adds so many challenges and dimensions compared to a more temperate event. Thick gloves make it ridiculously difficult to eat without stopping and you don’t fancy drinking as every time you do you can feel the chilled liquid stealing valuable warmth from your insides. Plus the cold hurts. 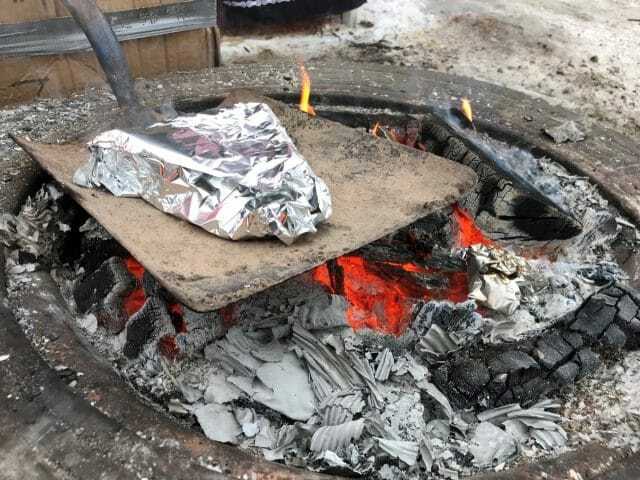 Balancing the number of layers you wear and the effort you put in against your body temperature is a challenge befitting of Goldilocks’ porridge. 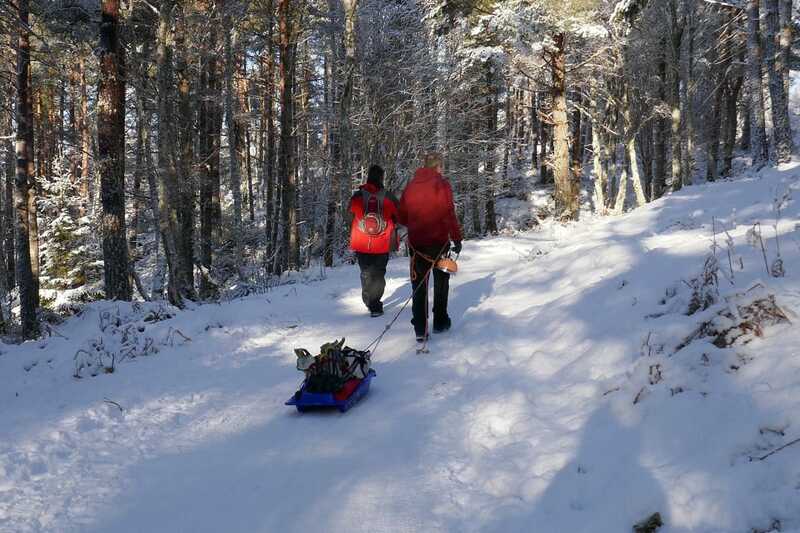 Too warm and you’ll sweat which risks making you unbearably cold on the next descent, too cold and life gets really uncomfortable and holding on that much harder. 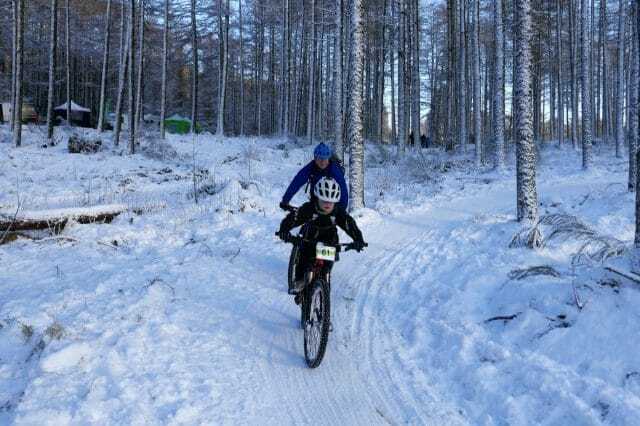 The challenge of Strathpuffer is one which causes most of us to use entirely sensible excuses to side-step it. But for others – possibly those with a slightly deranged mindset – the added physical and mental challenge is an opportunity to see how far they can push themselves. But it’s not all about people with questionable judgement. The organisers work with local schools and positively encourage kids to take part. All an under 14 requires is an adult chaperone who is willing to brave the cold alongside them, I suspect getting someone to agree is their biggest challenge. 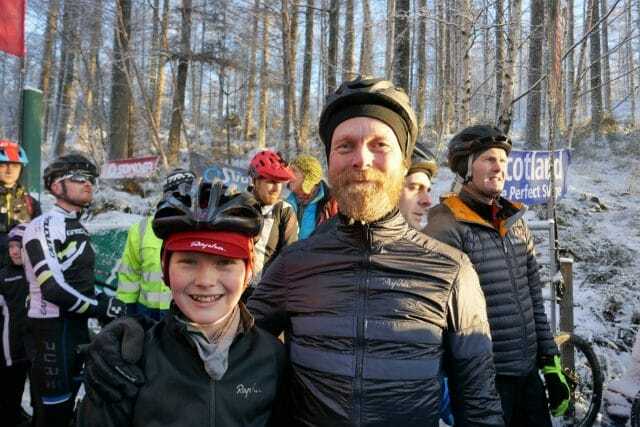 This year, 12 year old Tom Seipp raced in his fourth solo Strathpuffer and the youngest competitor, Dougal Masterson in the solo category, was just 10 years old. 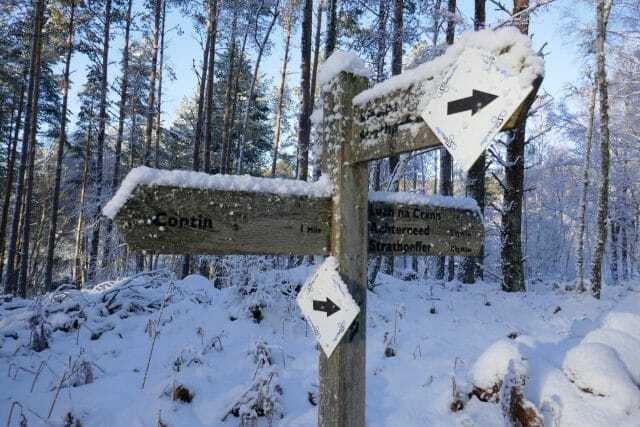 Given the potential grimness of Puffer, I agreed with the Singletrack editorial team that I’d write a piece which would tell a tale of miserable conditions and riding woe. The kind of description that would make you even more glad than you already were that you didn’t enter in the first place and even more sure that you were never going to do so in the future. Weather warnings and reports of closed roads for the days preceding the event would provide the perfect preamble to the grim story. I was heading up to help pit for a couple of mates riding solo. 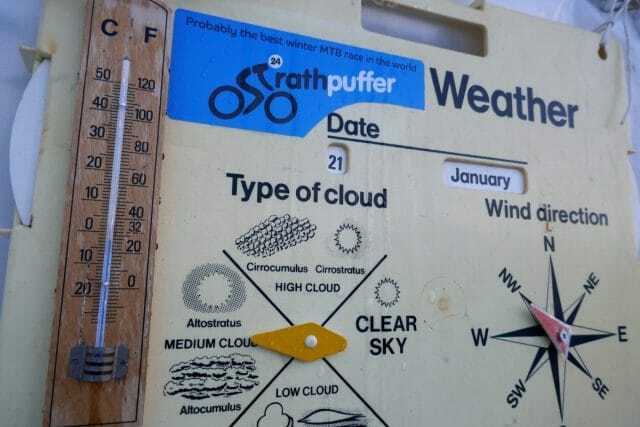 It was to be the first 24 hour race that I’d been at for several years where it wasn’t me doing the solo riding and compared to the last 24 hour race I’d done, it was 40°C colder. This was going to require a major shift in perspective (especially as for a change it wasn’t all going to be about me, god dammit!). 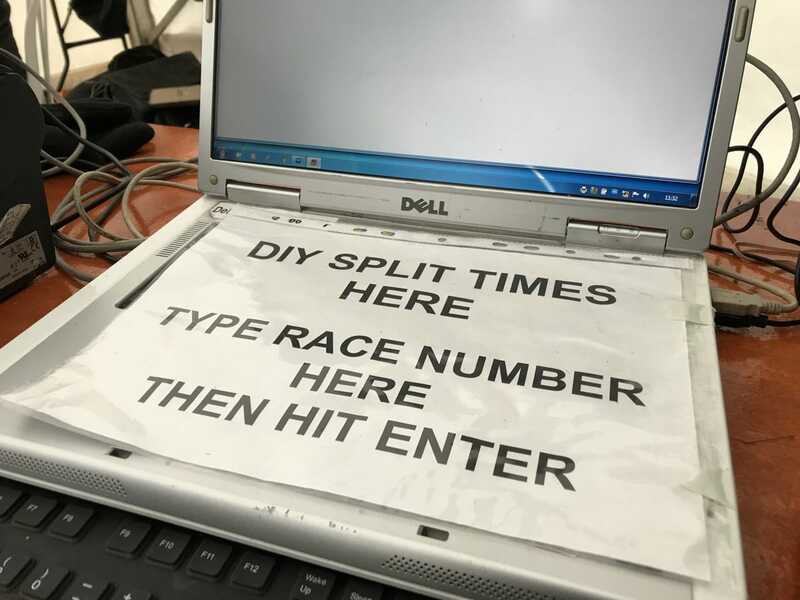 Instead I was going to be the one in the pits ensuring drinks were ready and still warm when riders came in for their stop and it was going to be me that had to wash all the winter filth off bikes each lap and deal with the associated grinding gears and worn brake pads. As I packed all the thermal layers, waterproofs, warm jackets and wellies that I owned, I couldn’t help but think that as hard as it would be, riding this race was possibly a better bet than pitting. We set off for our 10 hour journey to news reports of shut roads and snowy weather warnings. I have to confess there was a good part of me that hoped we got stuck on the way up and didn’t make it to the race. But we didn’t and after battling through blizzards on the M9, the further north we drove better the weather became. 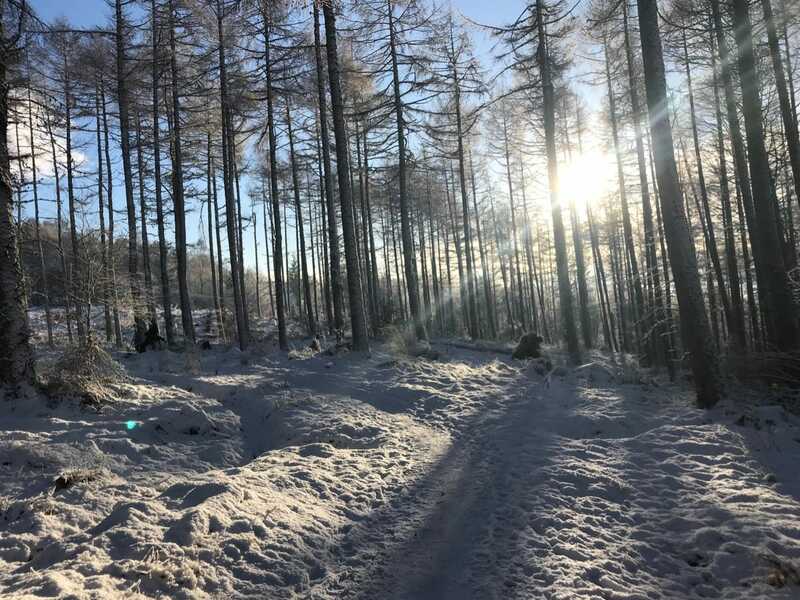 Eventually the skies cleared and the sun shone across the tops of the hills as we trucked up the freshly scraped roads of the Cairgorms and ever northward. Maybe it wasn’t going to be so bad after all. When we finally arrived on the Friday afternoon the weather was Swiss-Alpine perfect and anything but grim. Cold, oh so brutally cold, but not grim. Weeks of freezing weather in the Highlands culminated in a weekend of fresh powdered snow and a picture perfect winter blue sky. Vitally there was not a breath of wind to be had and the air was perfectly dry. Time to forget the tales of woe and absorb the sheer beauty of the most perfect winter weekend. Focusing back on pit duties, keeping riders and crew warm during the weekend was going to be the name of the game. By Saturday early afternoon once the race was underway the temperature hit a heady -4°C, a high for the whole weekend. Overnight things were a tad chillier at around -12°C. 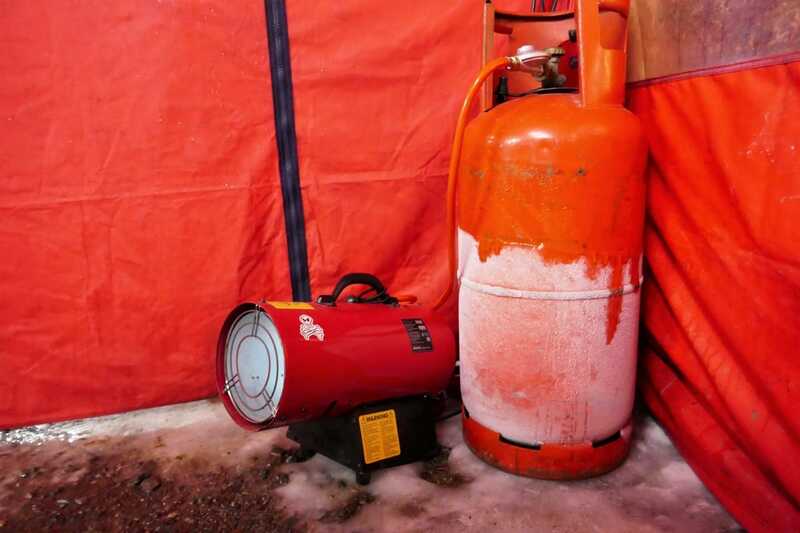 Fortunately my little crew had been invited to pit with Puffer regulars Angus Bike Chain who had enough fire wood, gas heaters and generators to keep several Scottish clans comfortable and so we set up in relative comfort and only needed to wear two down jackets to keep warm. 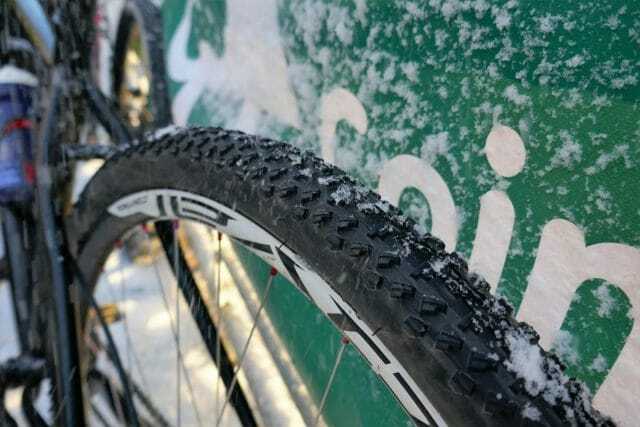 Prior to the race there was the usual ‘what tyre’ discussion – was this the year of the ice spike or was something chubbier going to grip better in the soft snow? But it didn’t stop there. 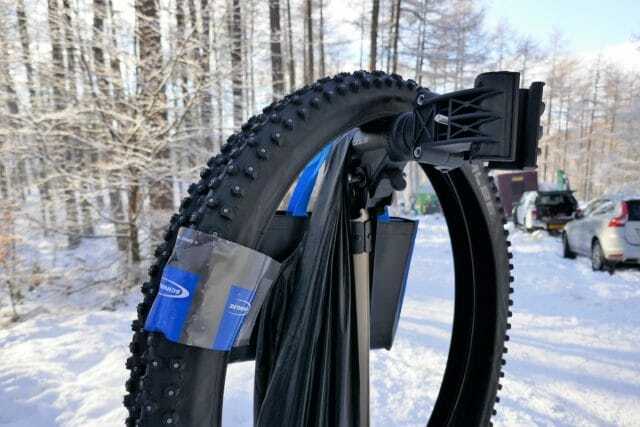 The fat bike owners were delighted, finally they were going to reap the rewards of their voluminous rubber. Or so they thought. By a couple of hours into the race, the tyre debate became rather one sided with slippery soft snow giving way to even slipperier glass-like ice. 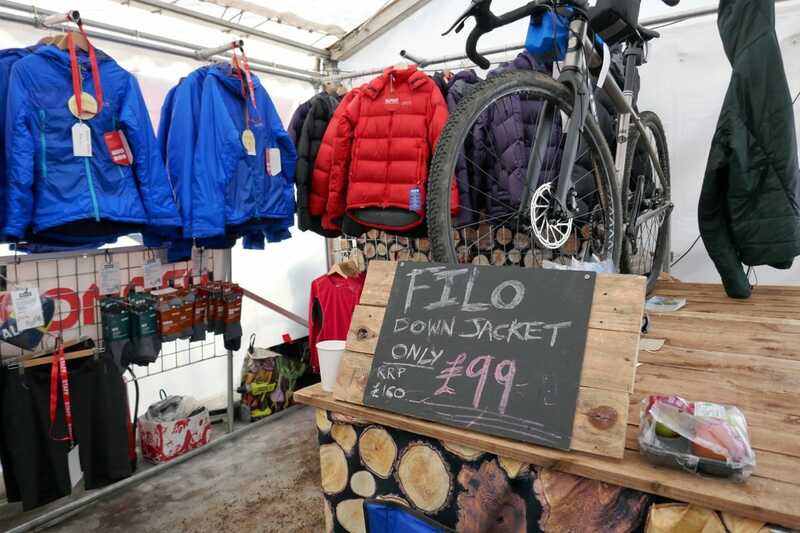 Square Wheels bike shop was doing a roaring trade in ice tyres and pit crew were fast drawing their tyre levers as riders swapped over their rubber in an attempt to remain upright and gain some traction on the climbs. Fat bikers (that’s riders of fat bikes, not fat bike riders) were considering ditching the icy racing line and opting for off-piste riding to gain some advantage from their wide wheels and as payback for lugging their great machines up the long slippery fire road climb. 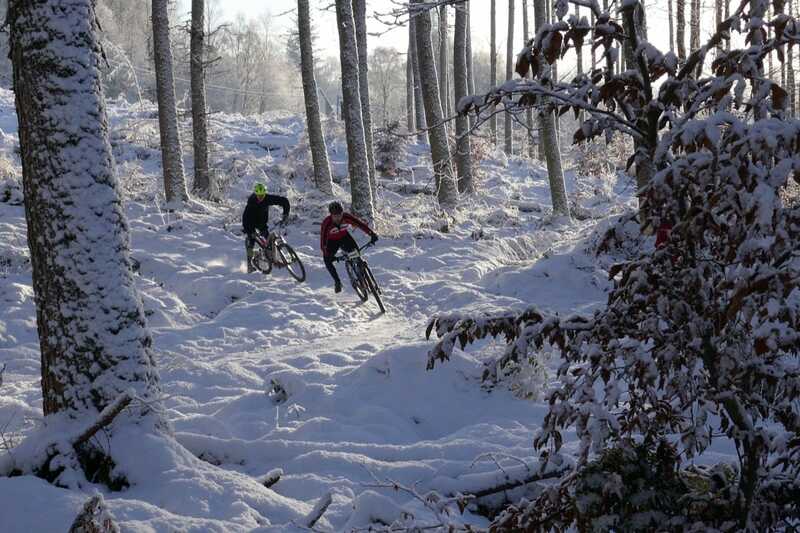 Whilst on one hand the weather and conditions were perfect it made the riding harder than ever. Natural rocky features were hidden under the snow and ice making crashes a regular occurrence. Overtaking on the singletrack was just about ruled out due to the utter lack of grip outside the main racing lines. 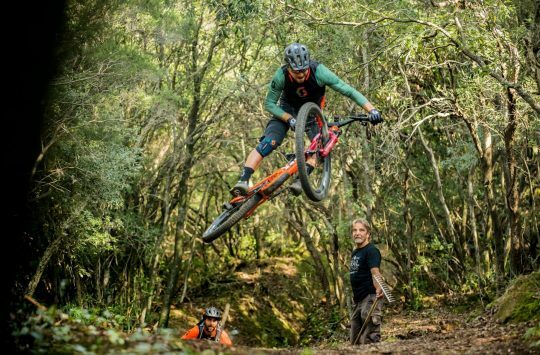 It’s always hard to keep your concentration between the darkness and fatigue of 24 hour racing and these conditions just made it much more important that you did. There were many bashes and bruises on show to demonstrate what happened when you got it a bit wrong. At times riders’ progress down a couple of the descents was more akin to It’s A Knockout than a mountain bike race. Riding may have been harder than ever but pitting was definitely made easier by the conditions. 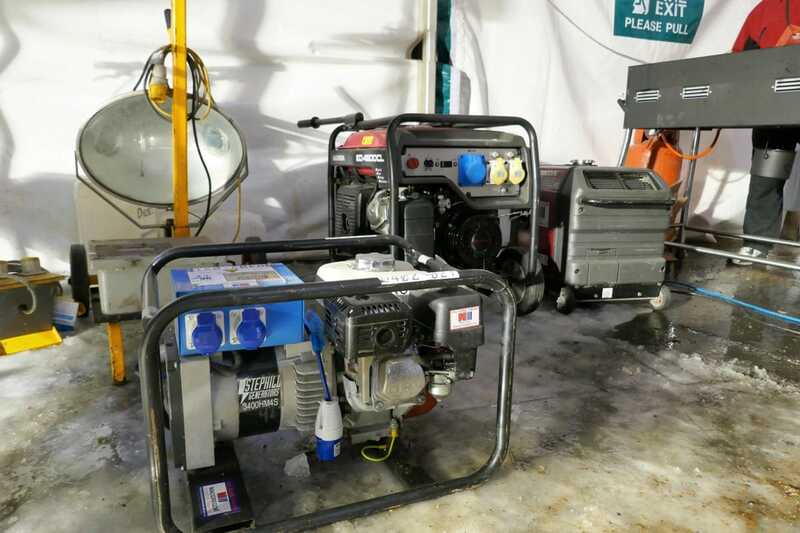 For the first time in its 13 years, the Puffer jet wash remained unused all race and brake pads and drive trains lasted through. 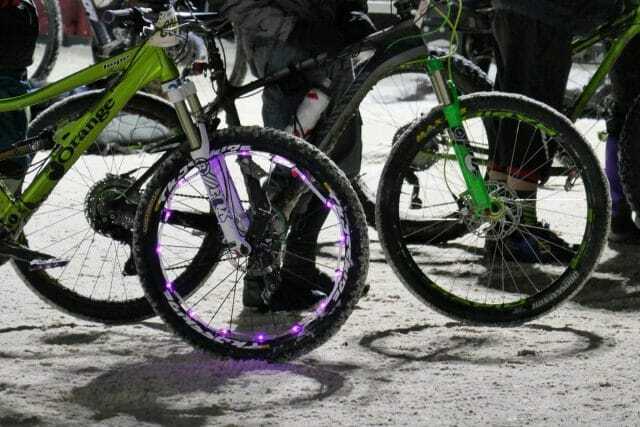 The most challenging job was keeping the bikes suitably free of ice to allow chains to run freely and mechs to shift. It didn’t take long for us to realise that the fire pit made for a perfect heated bike stand as well as boot warmer and food grill. Whilst the adult riders and pit crews were wittering away about tyre choice or whether to wear natural or synthetic base layers, the local school teams and younger riders seemed to take a far better approach to the race and just got on and enjoyed it. 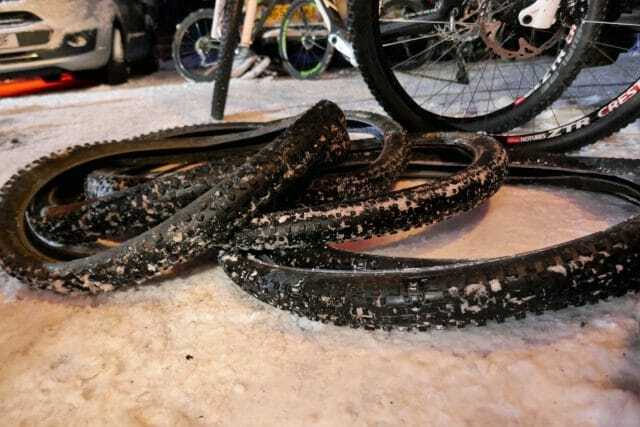 In truth, they were absolutely right, there are few things that are more exciting than riding your bike in snow and being able to pull massive skids on the slippery ice. The kids fared better than many of the adults out on the course too. 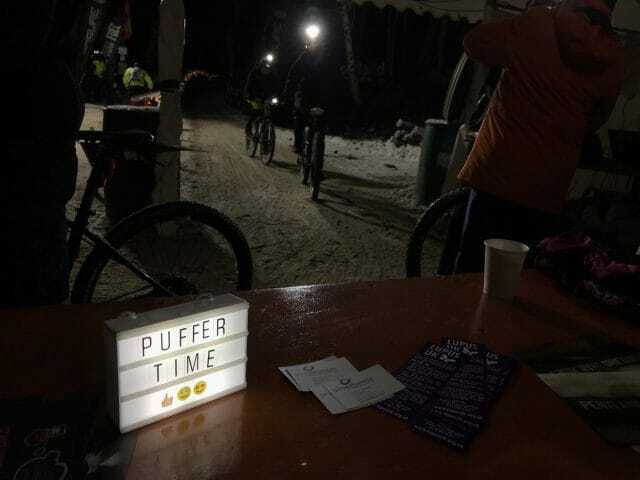 Soloists Tom and Dougal put in solid performances, riding the whole race through which is far more than can be said for many of the older generation who opted for a night sat in front of a fire rather than on a saddle. 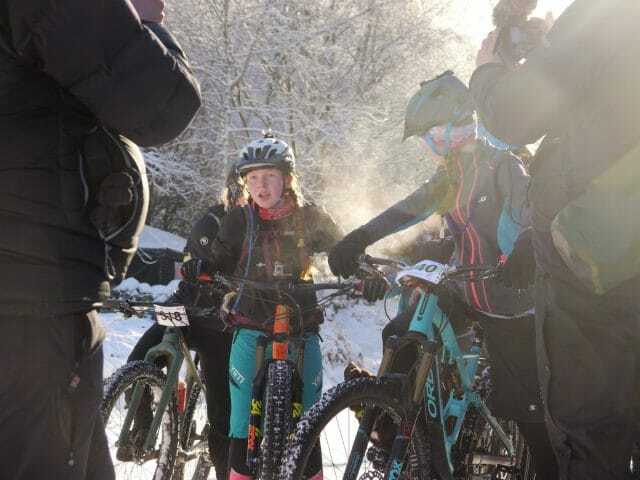 There were several teams there from the local school Dingwall Academy who put in consistent performances including four 14 year old girls racing under the stewardship of Lee Craigie’s Adventure Syndicate and a team of eight who rode as many laps as several of the adult podium teams. Full results of this year’s race are here and if you think next year’s weather will be as beautiful and want to give it a go, keep an eye on the Strathpuffer website. 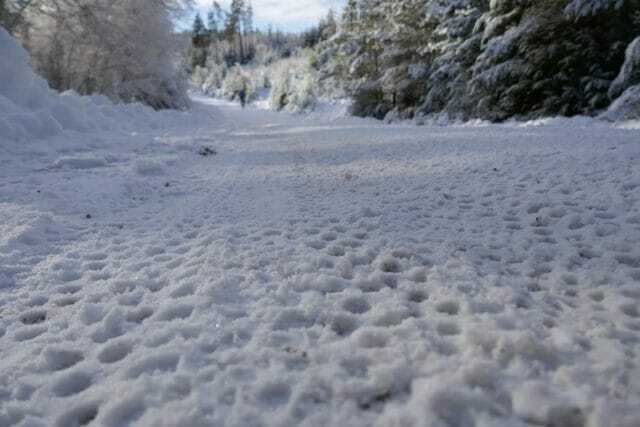 I did tell everyone to use ice tyres. Great article Rachel. As one of the mates you were supporting at the weekend, you’ve captured this perfectly. 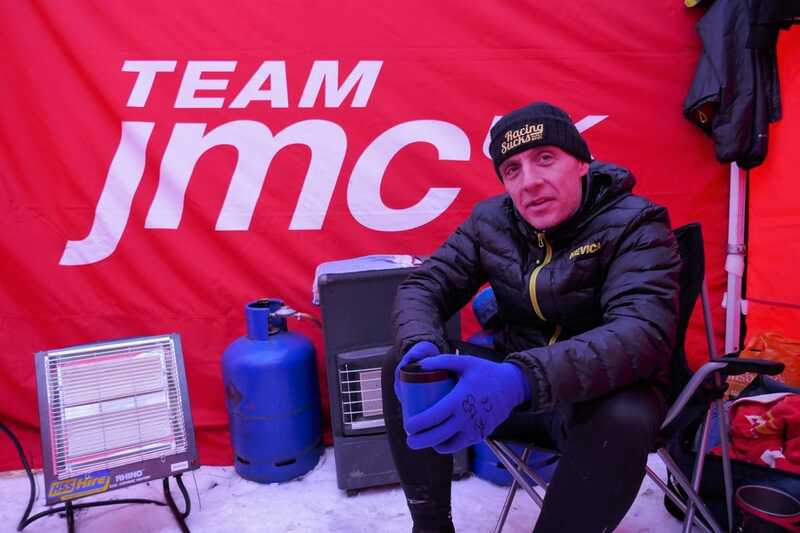 Keith Forsyth, the now 4 times champion, told me it was the hardest Puffer he has ever done. This was my 2nd crack at it, but it was infinitely harder than the first one and in a different world compared to the “warmer” or muddier 24 hour races I’ve done over the years. The concentration factor alone was draining, as was the fear of a race ended spill into a not so soft pile of snow. It’s now 4 days post event and I am still struggling with my daily tasks – composing and sending a basic email is a challenge. The weekend cannot come soon enough! Congratulations to each and ever rider who braved the elements and kept knocking out laps – either as part of a team, a pair or a soloist. And for those reading this thinking “hmmm, maybe I should try that next year” – get a team together an make it happen! It’s a huge challenge and you’ll not regret it. That means you too Rachel. It was a bit brilliant wasn’t it! There was no need for ice tyres. The snow was *just* grippy enough on the descents to make things wild but not too crashy and the climbs were all fine. It was a good ‘un – hard without being grim. The lap as the dawn was breaking was outstanding.